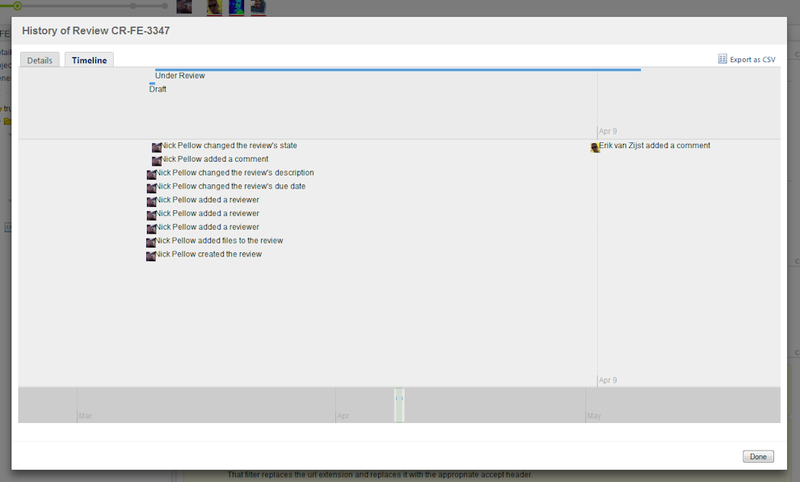 The Review History dialog shows a chronological list of interactions within a review. You can see rich information about those interactions and control their display. You can sort the information by date, actor, or action. Open a review in Crucible. Choose Tools > View Review History from the top right of the screen. 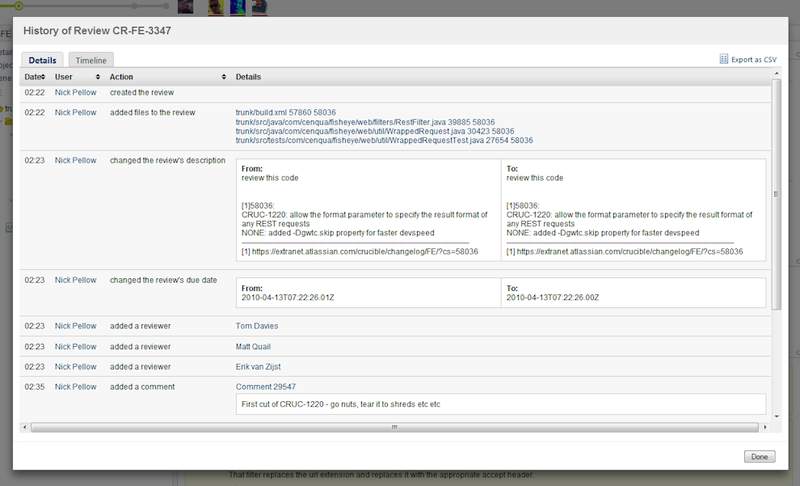 Click the Timeline tab at the top of the History dialog to see the review's events in a horizontal calendar. You can drag the calendar and the timeline at the bottom to scroll to other events. Click Export as CSV near the top right to export the entire review history, allowing for easy data import into a spreadsheet or other application.